Is there a difference between an after-dinner speaker and a comedian? After-dinner speaking: Cinderella or Ugly Sister? Nervous speaker? How to appear confident, poised and nerveless – guaranteed! Stage Fright or Stage Fight? How Bill McLaren helped me learn 120 names! Hosting a Conference: Pt 5 – It’s a wrap! Hosting a Conference: Pt. 3 – Showtime! Hosting a conference: Pt. 2 – the Toolkit! What makes a good conference host? Are you a bland tweeter? Tales from the Road: Awkward Audiences? Churchill, Thatcher, The Dalai Lama, Col Gadaffi, Archbishop Tutu, Dame Edna … & John Simonett! Why hire a Motivational Speaker? In this final part of my series of blogs on speaking in “awkward venues” I will be looking at some of the more unusual challenges I have had to deal with as a speaker – despite the events being held in what are otherwise beautiful, historic locations! It may seem churlish to call Isambard Kingdom Brunel’s ground-breaking masterpiece an “awkward venue” … but I am only referring to the pillars in the dining room! Pillars and alcoves are a common problem for a speaker – as they can result in the audience being “out of sight and out of mind” – as mentioned in my first blog on the subject. The all important eye contact is lost and you have to work all the harder to ensure you involve those who have a restricted view. The way I deal with it is either to re-arrange the tables when I arrive to improve sight lines – or to simply keep moving as I speak so that the tables with a restricted view get the occasional glimpse of me! Where this is not practical – I have often made a note of the names of all the people who are sitting behind pillars – and then used their names during my speech to ensure they don’t feel left out! 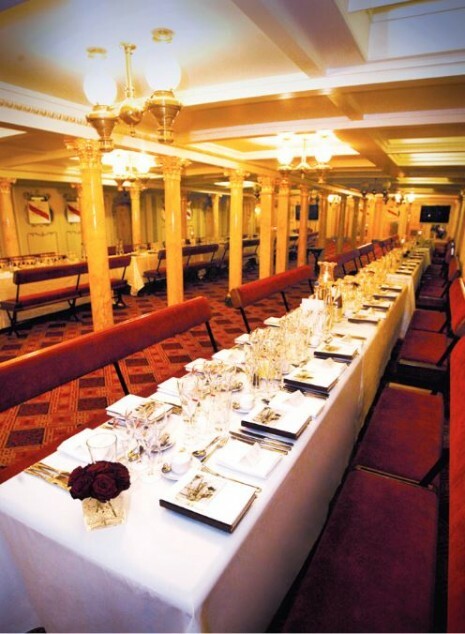 As you will see from this photo of the Dining Room on the SS Great Britain (where I have spoken several times) it is certainly not possible to move the tables! Another speaking challenge was encountered at a product launch held by a company who made underwater GPS systems for the offshore Oil Industry. Appropriately, the event was held at the wonderful Maritime Museum in Shiprow, Aberdeen. The challenge? The exhibits are on several floors …. and I was asked to speak from the floor of the atrium …. with the audience standing around the balconies of the floors above me! So no chance to learn names, no seats (so they could easily have walked away!) and a dodgy microphone! This was perhaps the greatest test of my communication skills … and I am pleased to say I survived – despite getting a crick in my neck from having to look up most of the time! Though not strictly anything to do with an “awkward venue” – the comfort of your audience is something that has to be taken into account – whatever the venue. No matter how good you are – if the audience is hot and the room “stuffy” – or conversely – freezing cold – you need to be aware that their attention span will be affected. My advice would be to speak up and shut up! That is – hit ’em hard and don’t go on too long! Being able to adjust your speech according to the conditions and how much they are affecting the audience is a key skill for any speaker. In a previous post I have already described the time I had to speak to an audience of 120 Primary School Head Teachers – with a blizzard blowing outside and yes you guessed it – the heating failed! So I was faced with an audience in winter coats, scarves, gloves and woolly hats ….! You can read how I got on here. Conversely… I also remember speaking on a hot summer’s evening at the Hilton in Bristol to an audience of 250 Insurance brokers … and the air con wasn’t working! It’s always disconcerting to speak with what seems like half the audience fanning themselves with their menus during your speech! Which made the following comment from the dinner organiser all the more welcome! – and most enjoyably for me – the England Rugby Team’s Changing room at Twickenham! See pic below! Versatile? Moi? Well I do love a challenge – all grist to the Mill as the saying goes! 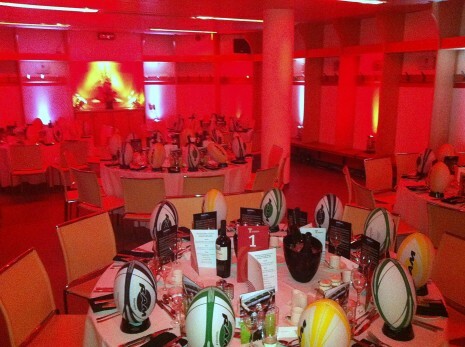 The England Changing room at Twickenham – set for dinner! If you are looking for an entertaining keynote or after-dinner speaker – especially in an unusual venue – please get in touch to discuss your event! 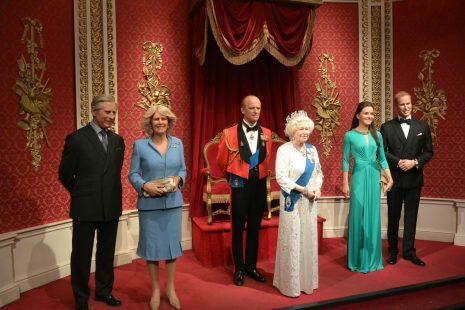 *at a dinner held among the waxworks at Madame Tussaud’s !